Yesterday I finished this read aloud with my students. Click for a link to Amazon! When I was a kid, this was my favorite chapter book. Every year I read it to my students, and I remember why I loved it so much! 1. Use of a bookmark. 3. Predicting what might be coming up. It seems so simple, but many children need this modeled frequently. I admit, I was a little sad to finish this book on Friday, since I don't have a new chapter book ready to go! I plan to read this one on Monday. then I'm open for suggestions! 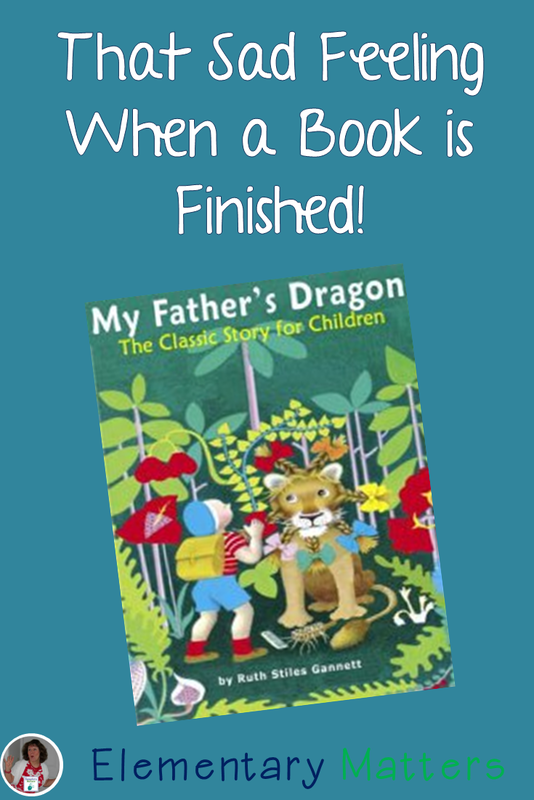 My daughter and I just recently read My Father's Dragon. Believe it or not, I had never read it. I loved it. I need to purchase the other two books in the series. It will definitely become a yearly read-aloud in my room. Have you read Cynthia Rylant's Lighthouse Family series? They're really good. They're well-written but short. Have a great week! I'll have to try the Lighthouse Family series! I've got a bunch of kiddos that need to start working on chapter books, have the reading ability, but not the attention span. That sounds like it could be just the tool to get them moving in the right direction! I find if I read one in a series to the class, those books become quite popular real fast! I read this series of book every year to my second graders! I love it every time I read it to them. I typically only read the first in the series, and then show them where I keep the sequels. They're gone before you know it! Things I did and DIDN'T do on my vacation!